Mention of Holy Trinity Church has been found as early as 1163. At that time it was located closer to the cathedral. The present building dates (in parts) from around 1412. 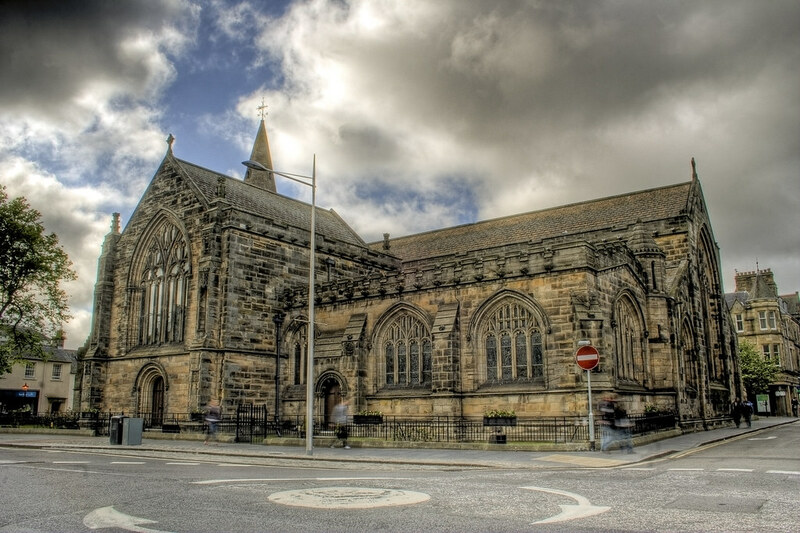 This entry was posted in Church, Scotland, St Andrews and tagged chuch, Church, clouds, fife, hdr, Medieval, Scotland, scottish, St Andrews, tower, town. Bookmark the permalink. Really like this photo, gives it the almost hand drawn feeling.